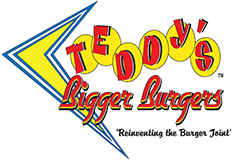 Congratulations to Katie Langlois-Taylor for winning the Teddy’s Bigger Burger of the Month contest with her creation, THE CAJUN EFFECT! Katie will go down in Teddy’s history for having made our first customer-created burger! Look forward to THE CAJUN EFFECT in January 2011!